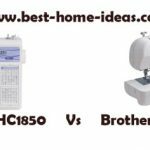 The Brother XL 2610 sewing machine comes with a cool, cool price tag of around $100! Who would have thought you could get any decent sewing machine at this price, let alone a Brother sewing machine! So what does Brother offer you at this price? A surprisingly sturdy machine with some pretty decent features and an impressive 25 year warranty! The Brother XL2610 does not have all of the razzle dazzle features of its more advanced ‘brothers’ but considering the price, that’s not surprising. 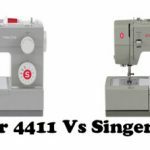 However, it does have a good range of features that make it an excellent choice for sewing garments as well as for hobby projects. The Brother XL2610 is incredibly easy to use. 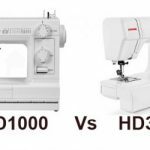 It has all the essential features of a good machine with carefully selected add-on features that allow for enough versatility and yet help keep it within the $100 price range. Score one for Brother on that front! 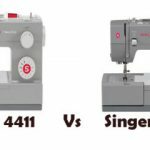 I have come across several sewing machines that offer far less for a far higher price. With the right needle selection, this machine can handle a range of fabrics from tricot to denim with ease. The instructions for bobbin and needle threading, which are cleverly etched onto the body of the machine itself act a quick reference guide to newbies who haven’t yet got the hang of it as well as for the more experienced sewers who can never quite figure it out. The speed is perfect- neither too fast nor too slow. 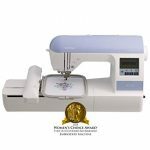 This makes it easier to keep the sewing speed to within your comfort level. The instruction manual is very clear and very easy to follow. Setting it up and getting on with your sewing has never been easier! The color- Pink! It’s amazing how many users just love the color of their Brother XL2610. Another huge score for Brother! The presser foot does not go high enough in the ‘up’ position but that is more a mere nuisance rather than a major drawback. If you need to see where your needle is going into the fabric, all you need to do is flip the foot up with your finger. You’re tempted by the low price but are also hesitant because of it? No need to be. This machine comes backed by the Brother name and their impeccable reputation for manufacturing high quality sewing machines. 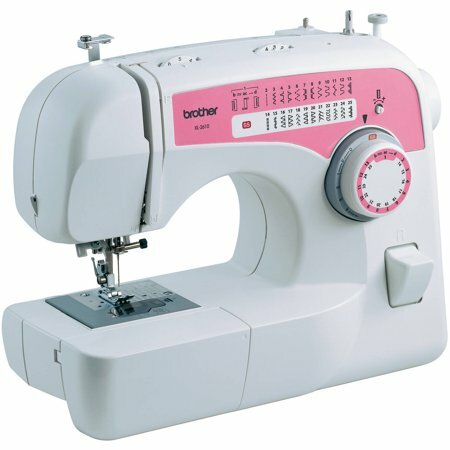 The Brother XL2610 is highly recommended for not so-heavy duty sewing and for beginner sewers. Its charming pink color makes it the perfect gift for a teenager who is just starting out on her sewing journey.